P Diddy’s ex-lover, Kim Porter, has been found dead at her Los Angeles home. The model and actress, 47, who dated Diddy for 13 years, reportedly phoned her doctor just yesterday and said she wasn’t feeling any better, another source told the gossip site. The exact cause of her death has not yet been confirmed. Simmons and Porter shared a close bond, which can be seen in a throwback tweet Simmons posted from her first wedding to Russell Simmons in 1998. A smiling Porter is pictured next to Tyra Banks and other bridesmaids of the Kimora: House of Fab reality star at the time. 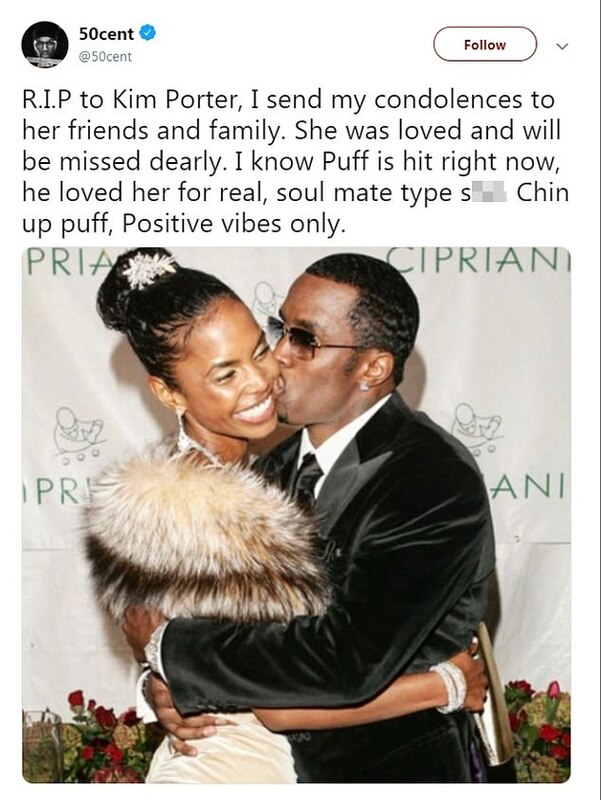 Diddy’s representative confirmed Porter’s death and asked that the family be given ‘privacy at this time’. A source close to the pair told People late Thursday: ‘Diddy is devastated and shocked. Drug lord arrested after hot chase by female police officers, Northern Cape. Just In !!! Zuma files ‘permanent stay of prosecution’ papers.